The jury system was made part of our Constitution because the Founders did not trust judges, but ever since the Constitution was adopted, there has been a struggle between judges and juries, with judges trying to confine juries to deciding the "facts" in a case, leaving the judges to decide the "law". In most criminal cases today, the constitutional and legal issues are not argued in the presence of the jury, and the jury does not get to read the legal briefs filed in the case. Judges try to intimidate juries into following their instructions, which are only advisory, and prosecute attorneys for contempt if they try to inform jurors of their right and power to decide the law as well as the "facts" in the case. In response, reformers are working to make sure jurors know their duty. It is important to keep in mind that many cases involve legal issues that neither the judge nor any of the lawyers have encountered previously. The trial is then a learning experience for all involved, including the jury. If the judge needs to hear the legal arguments to learn enough to decide motions, then the jury needs to hear those same arguments to decide the verdict. Principles of Jury Reform, by Jon Roland — Measures needed to return trial jury procedure to compliance with the Constitution. You are summoned for jury duty — Brief guide for prospective jurors. Mansfieldism Reconsidered, by Jon Roland —; Review of evidence for arguing law in the presence of the jury. Original Intent, a speech on the floor of the House of Representatives, by Rep Ron Paul (R-TX), August 1, 1997. 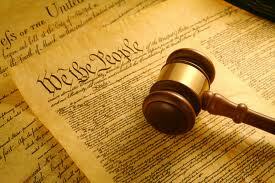 Discusses the original intent of the Framers concerning juries. An Introduction to Trial by Jury — Project of the Constitutional Rights Foundation Chicago. Jury Size Matters — Why and how it makes a difference. The Power of Juries: Jury Rights Day — Editorial in Orange County Register, September 8, 1997. History of Jury Nullification — Quotes from various sources. The Laura Kriho Case — Juror prosecuted for doing her duty. Jury Power — More material on jury rights and powers. Juror's Handbook — Useful reference. JurorsRule.com — Site developed by Alexander Navarro. V Law Must be Argued before Jury. Video. 25MB MPEG, running time 2.5 minutes. Need a video utility like Quicktime Player, RealPlayer or Adobe Premiere. Trials of Liberty — Collection of leading historical trials that define the jury system. United States v. Fenwick, 25 F. Cas. 1062 (1836); 4 Cranch C.C. 675 — Defense in criminal trial has right to argue law before jury until bench rules on motion. Stettinius v. United States, 22 F. Cas. 1322 (1839); 5 Cranch C.C. 573 — Parties in cases of mixed law and fact, including criminal cases, have right to argue law before jury until bench rules on motion, and to have such rulings delayed until arguments can be made to the jury, which must hear legal arguments to perform their duty. Both judge and jury may judge the law in favor of the defendant. Jurors are expected to be able to determine whether the complaint is authorized by the Constitution. Games v. Stiles ex dem Dunn, 39 U.S. 322 (1840) — If the bench and jury disagree on a point of law, the opinion of the bench prevails. Sparf & Hansen v. United States, 156 U.S. 51, 64 (1895) — Jurors do not need to be informed of their power to judge the law in bringing a general verdict. Coffin v. U.S., 156 U.S. 432 (1895) — Court must instruct jury in criminal case that accused is presumed innocent. United States v. Dougherty, 473 F.2d 1113 (1972) — Dissent by Bazelon on informing juries of their power to judge the law. United States v. Julian Heicklen, 10 CR 1154 (KMW) (April 19, 2012) — Order by Judge Kimba Wood dismissing indictment of defendant for distributing fully informed jury literature outside a federal courthouse. Fully Informed Jury Association (FIJA) — Alternate site. Lone Star FIJA — Texas branch. Texas Fully Informed Jury Amendment Association (FIJA) with an explanation and a history . Advocate jury nullification of unconstitutional statutes and law enforcement practices. Jury Power — Another site for the Fully Informed Jury Association. Archive of materials on jury nullification. Explanation of the FIJA movement. History of the FIJA movement. Indiana Fully Informed Jury Association — Indiana chapter. Has some important documents. Common Sense Justice for South Dakotans — Got an amendment to the North Dakota Constitution on the November, 2002 ballot. Jury Power — Working for jury reform at the state level. FIJA. To [un]subscribe, send message to FIJA-subscribe@yahoogroups.com. — Discussion of fully informed jury issues. * CJCTF Site, with their proposed jury instructions for comment by August 1, 2000, both criminal and civil, in PDF. Draft Comment #01 on the Proposed Criminal Jury Instructions. Draft Comment #02 on the Proposed Criminal Jury Instructions. Draft Comment #03 on the Proposed Criminal Jury Instructions. Civil Jury Instructions (July 2003, PDF, 4,176 KB) The Judicial Council officially adopted these new civil jury instructions at its July 16, 2003 meeting. Criminal Libel and the Duty of Juries, Joseph Towers (1764, 1784), Francis Maseres (1792) — Three essays on the right of defendants, especially in criminal libel cases, to have the jury decide the law as well as the fact issues. The Elements of the Art of Packing, As Applied to Special Juries, Particularly in Cases of Libel Law, Jeremy Bentham (written 1809, published 1821) — Critical treatise on abuses of the English jury system and ways to reform it, which provides a historical background to practices that continue to this day. The first publisher in 1817 of excerpts from this work was prosecuted twice for doing so, and the second three times, but in each attempt, juries acquitted them. History of Trial by Jury, William Forsyth. (1875) — Tells story of how it evolved, as seen by a legal scholar who missed the point that juries were established because judges and prosecutors cannot be trusted. Sortition for Judges, by Jon Roland. An Essay on the Trial by Jury, Lysander Spooner (1852). Criticism of jury practice as of the time written. However, Spooner gets some of the history wrong. Random selection of jurors does not go all the way back to Magna Carta, but came later. A Lehman, Godfrey D., We the Jury : The Impact of Jurors on Our Basic Freedoms : Great Jury Trials of History, 1997, Prometheus. Landmark cases in which the jury played the starring role. A Lehman, Godfrey D., The Ordeal of Edward Bushell, 1988, Lexicon. A fictionalized rendition of Bushell's Case, in which Edward Bushell, by holding out against intense pressure to convict William Penn on a charge of preaching in a way not authorized by the Church of England, established both the power and role of the jury and the right of free exercise of religion. Available from America's Legal Bookstore, 725 J St, Sacramento, CA 95814, 916/441-0410.